To people who have practiced religion in a set-apart structure all their lives, and who are careful to demonstrate respect when they do so, Christians without a church building seem irreverent.  Help the community recognize Christ’s worth. 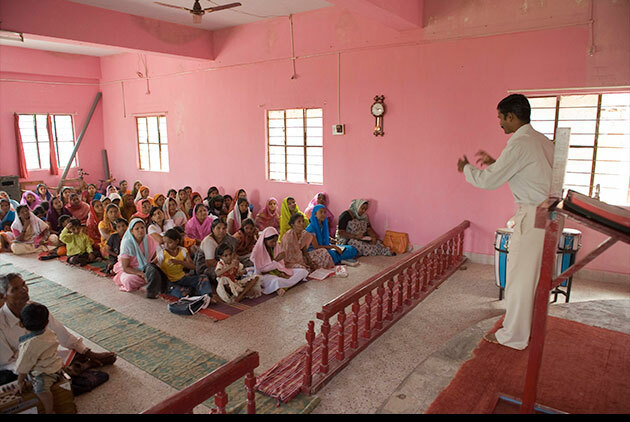 Just as national missionaries serve their people in the way they need to be served—speaking their language and operating within their culture—church buildings communicate the glory of God to the people of South Asia in a way they need to see it. When people see Christ’s house of worship, they begin to respect Him, and the door swings open for them to seek Him. Give non-Christians more opportunities to seek Christ. A church building welcomes non-believers. Approaching a believer’s home for a worship service may make some non-Christians feel uncomfortable, but many will view the church building as open to the public and will feel welcome to seek answers and prayer there throughout the week. Support the discipleship of believers. Church buildings are hubs of ministry all week long. 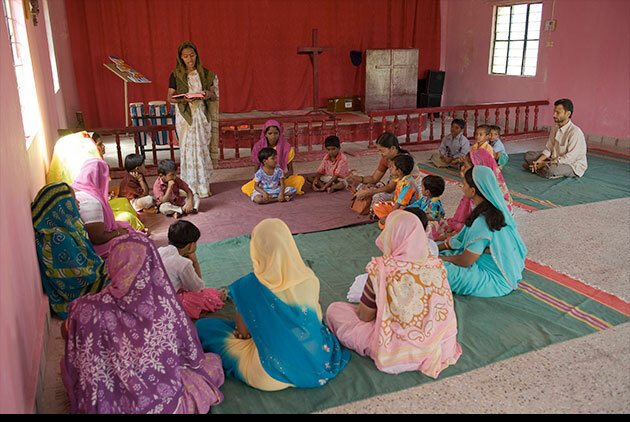 They help facilitate discipleship activities for the believers and serve as sanctuaries for them to come and pray throughout the week. Pachai, a famous religious teacher in GFA pastor Kamal’s village, despised Christianity. When the construction of a church building began in the village, he denounced it. Meanwhile, Pachai’s wife suffered greatly from frequent ailments. A headache constantly plagued her, she often felt weak, and she struggled with eyesight problems. 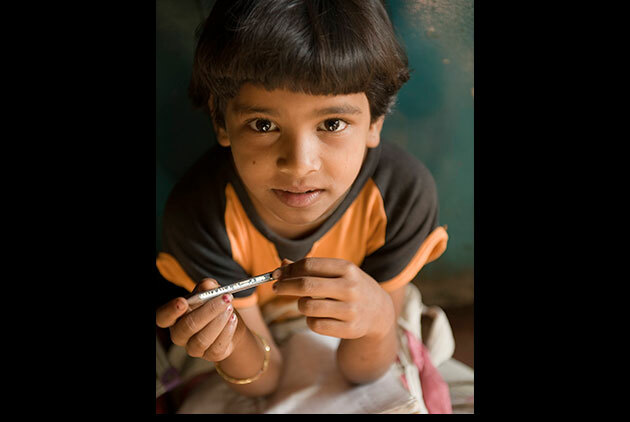 Her illness weighed heavily on Pachai, and unable to help his wife, he fell into depression. One day, after the church building was completed, Pachai was traveling toward the market when he noticed the completed church building. Pachai was desperate to see his wife get better. Though he had hated Christianity, he believed the Christians’ God dwelled in the building. He approached the church and went inside. Pastor Kamal listened to Pachai share and then prayed for the distraught man’s wife. Miraculously, the Lord Jesus touched her, and she was gradually healed from all her ailments! 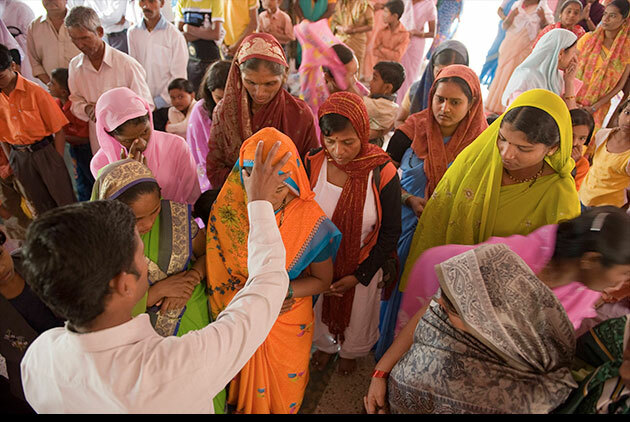 Through the church building and the healing, the Lord worked in Pachai’s heart, and as a result, Pachai came to know Christ. 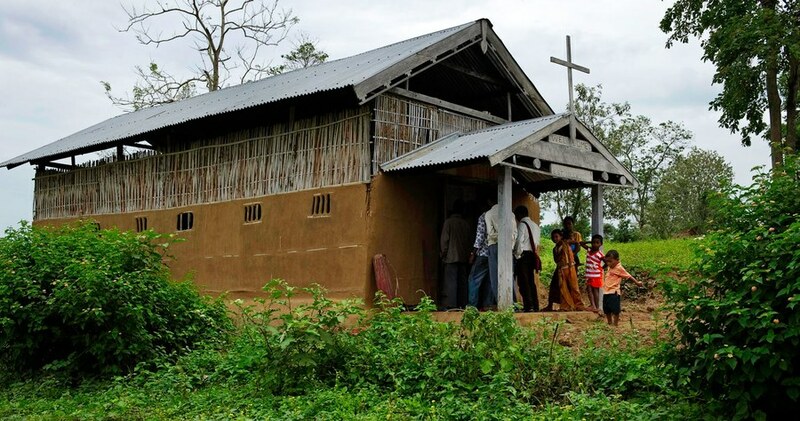 In Myanmar, Sri Lanka, Bangladesh and other countries, thousands of congregations don’t have a church building. 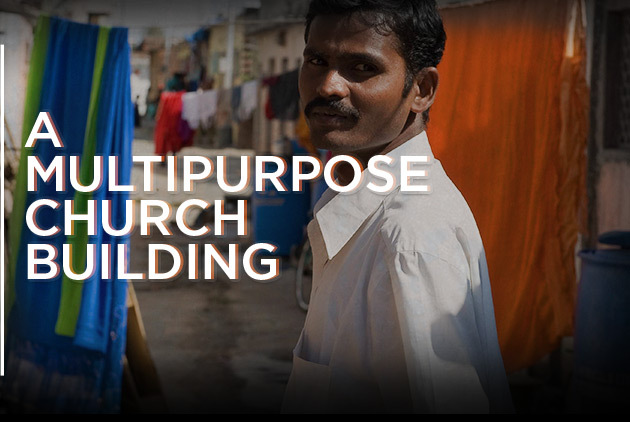 In order to help pastors disciple these believers and to give more people the opportunity to seek Christ, we need to build more church buildings. A church building in Asia costs between $10,000–$40,000. If a church building costs $40,000 to construct and seats 500 people, that means it only costs $80 for each individual it can seat. More importantly, that church building will continue to bolster ministry in the village for decades. 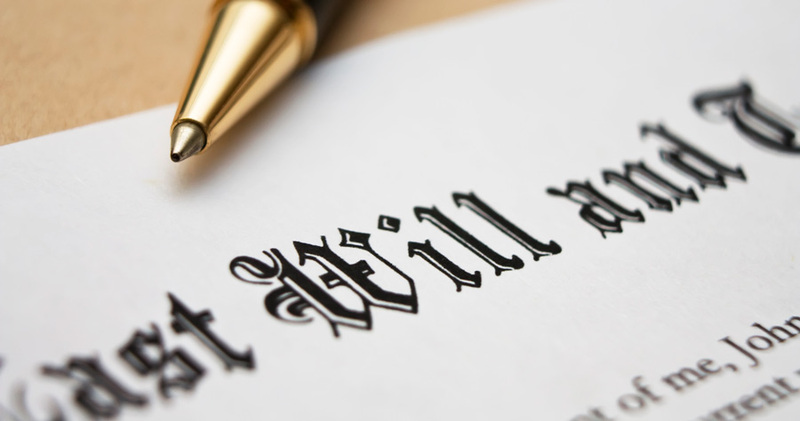 Multiple factors affect the cost of a church building, one of which is the size of the structure. Some of the congregations we’ve built church buildings for have, by God’s grace, quickly outgrown their structure and have needed to build additions. In anticipation of this and to save on the cost of renovation, we’ve started constructing some of our church buildings to seat up to 500 people. Other church buildings, especially in smaller villages, do not need to hold as many people. Construction expenses—the costs of materials, labour and land, if it isn’t donated—also vary, depending on the region. Our aim is to use resources as effectively as possible and to construct each church building with quality and an appearance that glorifies Christ. See how a church gathers for worship without a building. Read how this church building is used for multiple purposes. The first four months of Prasan Pinak's urban ministry were incredibly difficult. Some people insulted him, and everyone else ignored everything he said. But one Sunday at 4 a.m., the Lord led him to rise, walk through the streets and pray for the people. "I believe that nothing is impossible in prayer. When we pray to the Lord, God will answer. That was my faith." 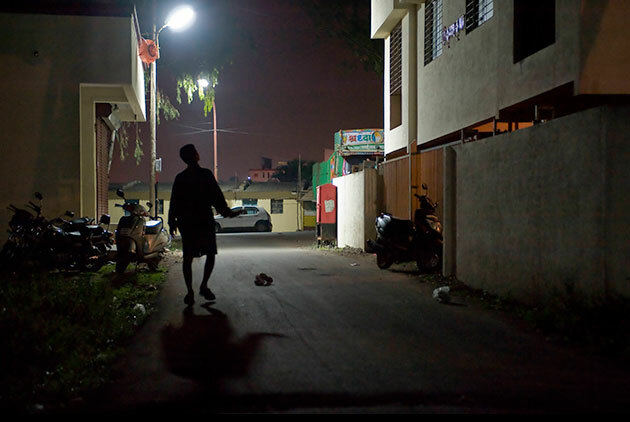 Prasan has made his "prayer walk" through the city a daily habit. God answered his prayers, and now there are hundreds of believers worshipping in several different locations throughout the city. 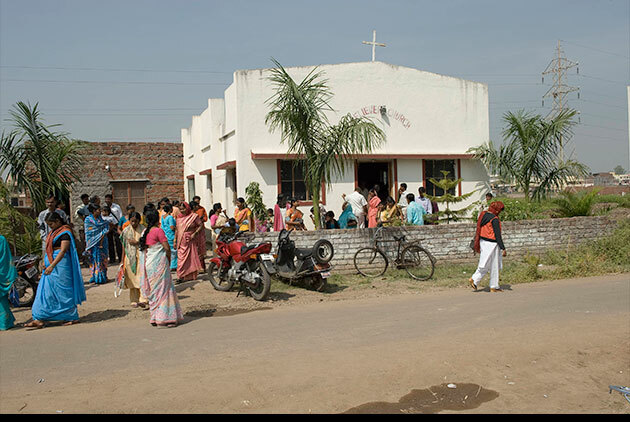 Prasan's main church building is a hub of activity all week long! Of course, there's the Sunday service, when people gladly walk from miles away to hear a message, fellowship, and pour out their hearts in worship. On Sunday afternoons, the youth meet with Prasan at the church for fellowship and Bible study. Prasan's wife, Renu, also has a heart for outreach. She leads a weekly women's Bible study in the church building. 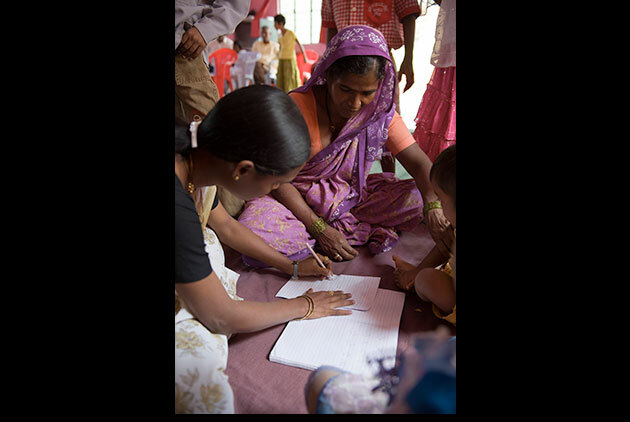 Women also come to the church to attend Renu's literacy classes. She feels it's important for ladies to be able to read and study the Bible themselves. 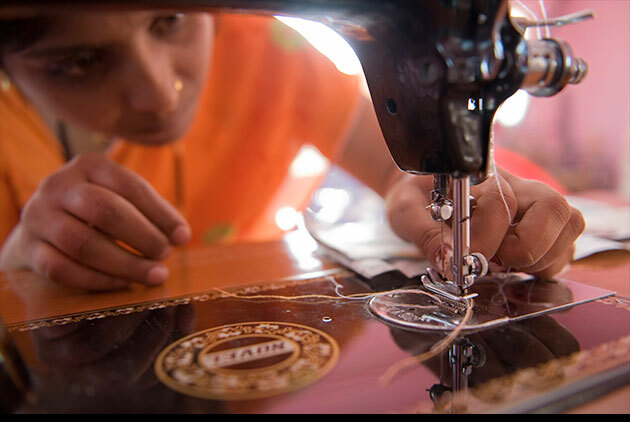 Sewing classes are also taught at the church a couple of times a week. These classes are an opportunity for women to learn a profitable skill, hear about Jesus and better themselves. Even when the church isn't being used for classes, Bible study or other meetings, people often drop by to meet and pray with Prasan. They also linger after the Sunday worship service for payer. And in an urban setting, not everyone can get off work Sunday morning. 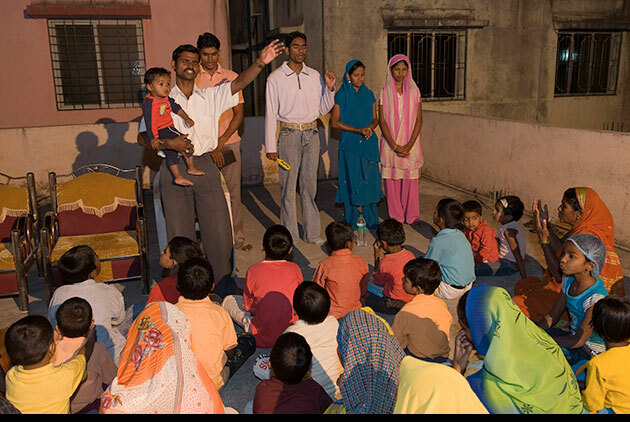 So Prasan conducts evening worship services in several different locations each week. Often the roof is the only place large enough for them to gather! 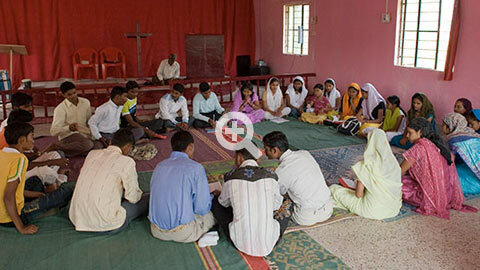 Another of Prasan's exciting ministries is a small school. Right now, the school meets in a rented building funded by the church's tithes. This school is meeting the basic educational needs of poor children whose parents can't afford government schooling. 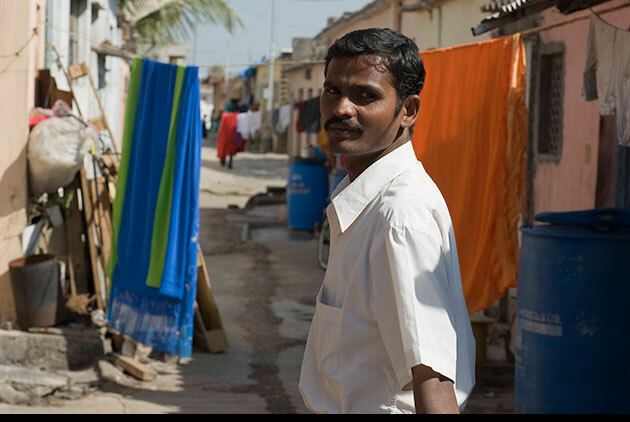 A new church building would allow prasan's ministry to grow further and also eliminate the need to rent extra space. 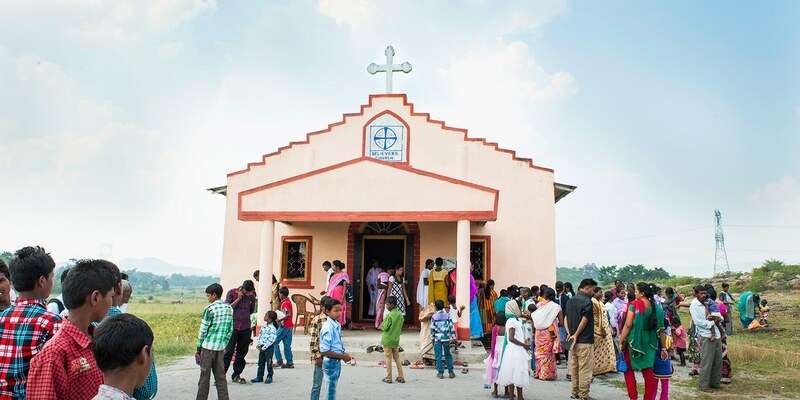 But though the church's tithes are enough to support prasan and his family and run the school, there is not enough left over to pay for the second building they so desperately need. The sounds of praise coming from a new church building are a dream for many congregations in Asia. With many new believers, there is a huge and ever-growing need for buildings to shelter them from the weather and anti-Christian forces. 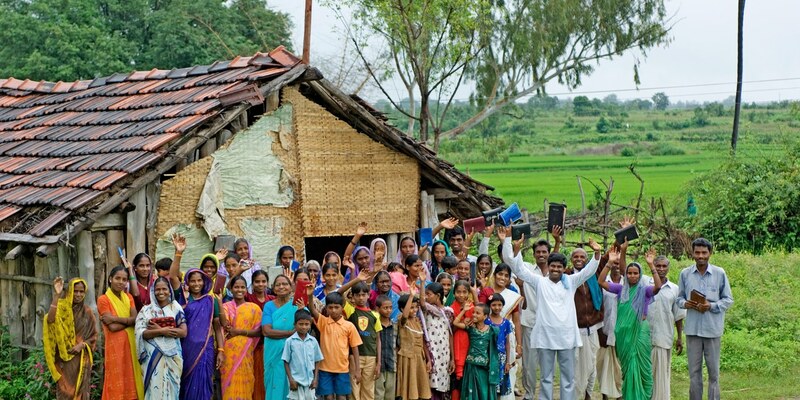 Help build church buildings for the people of Asia.